We are seeing a boom in technology. New and intelligent gadgets are being made on a daily basis. One such invention is the wireless CCTV powered by solar energy. Wireless technology is the one the fastest growing technologies, it is very fast, easy and makes life a lot easier. And to combine this technology with solar power would be a great pairing. Solar power is the need of the hour; with the environment’s future at stake, scientists are turning towards solar power as the next best option for clean energy. Solar energy is renewable and leaves no harmful by-products like carbon dioxide. It uses the power of the sun to generate electricity. It makes a lot of sense to combine solar energy with wireless CCTV. Wireless cameras have to be running 24/7 to be able to give uninterrupted footage which is very essential for security. Running them constantly will give a very high electricity bill. Switching over to a solar-powered system will not only save costs, but it will actually pay for itself within a few years. The cameras that are placed outside will be constantly charged by the sunlight. The cameras that are on the inside can be charged by a solar panel which is kept on the roof. A good battery back-up will ensure non-stop power supply, when the weather is cloudy or is raining and during night times. These batteries too will be charged by solar power. Granted, all of the things required for a good system are on the expensive side. But all of them are a one-time buy and money you save on the electric bill will pay for them. Not only will you be saving money, but you will also generate your own electricity. Best way would be trying the system. Place the solar-powered cameras that can be used outside, put them in places that give a good view of the property, and have direct sunlight. Run them for a month or so and then see the difference in the bill. If convinced, only then install the whole system, and start saving money and the planet together. Wireless security systems are high-tech and have all the latest functions that are required of a good security system. These systems are built to function using minimal electricity. Solar panels are large in size, but since not much power is required, the panels can be of practical size. Plus with more and more advancement, solar power generation has come forward in leaps and bounds. The future belongs to clean power. Governments are coming out with rules that support clean energies like solar power. They even offer tax breaks and credit points for such technologies. 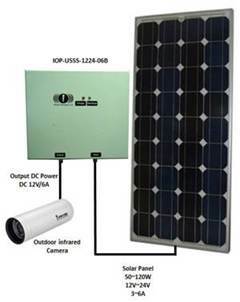 Having a solar power CCTV system will not only save money electricity wise but will also save your taxes. Solar power and wireless systems are the thing of the future then why not have them now and be miles ahead of others. We spent hundreds to thousands of currency in getting a security system that will provide the best level of security to our members. Covering the outdoor areas, through outdoor security cameras, is an essential part of a good security system. The outdoor camera can give you the best results only when it is placed at the right location. Before you go ahead and a buy a security camera, it is essential for you to plan the placement of the cameras. Look at all the possible areas inside as well as outside your home. The outer areas should be observed during the day as well as during the night for several days in a row. This will give you a fair idea of the vulnerable areas that are more accessible to rowdy elements. Let us take an example; while you have decided to cover your lawns and gardens, have you considered your driveway and garage? Incidents of car theft are on a rise and you can prevent damage to your car by securing your driveway and the garage door with a camera. In this case a camera at the outer edge of your garage door will give a good view of any intruder who might attempt to steal your car. Camera housings are normally made of aluminum or more recently now from extremely durable specialty thermoplastics. Weather conditions, outdoor temperature and equipment temperature rating should dictate if the camera housings will require a heater, de icing system and multiple hi flow fans or possibly an active cooling system. Remember sensitive electronics are just that sensitive -long life, reliability and down time should be all be considered. The next area to consider will be those small sidewalks or a side alley where you store extra furniture and toys. Most of us try to cover the busy-areas of our house for surveillance while leaving out the less-frequented areas. However, the areas with less traffic are the perfect entrances for a burglar. Look closely at those overgrown garden areas and try to cover areas that have big tress that can obstruct the view from your window. Install the cameras at a high roof top window to get the best view. How about your backyard? Do you have a small store where you store your extras – beddings, cutlery and furniture? Such areas are also as vulnerable as the front yard or the garage. Make sure that you cover them with a security camera. If you are finding it difficult to spend huge money on a number of cameras, consider using dummy cameras. While you cover all the difficult to access and low-traffic areas, make sure that you install cameras in a way that they can be reached for maintenance and frequent checks. Do not use high-rise trees to install cameras as they can be damaged by birds and animals. Also, a camera at a very high location will be very difficult to reach for you as well. A bird’s nest or a spider’s web can obstruct your view frequently and you will have to make changes all the time. Hence, other than the obvious locations for an outdoor security camera choose areas that are not visited frequently but install cameras in a way that they can be reached for maintenance and repair. Closed-circuit TV cameras supposed to catch violent thugs have been trained on roads instead - to trap and fine motorists who stray into bus lanes. The most common home security system used is a CCTV system. CCTV stands for Closed circuit television. It is considered a revolutionary invention when it comes to security. Due to it’s advantages it gained fame in no time. It is often used for security purposes in house, stores and banks etc. It keeps an eye on the visitors. It can also be used in schools to track the behavior of a student. It has countless advantages, but that does not mean that it is perfect. Yes! CCTV has its disadvantages as well. In this article we are going to discuss the disadvantages of CCTV camera. CCTV is not always a perfect working system for security. It does not keep an eye on every corner of your office, house or mall. It can just keep an eye on a limited area. It can be easily sabotage by sticking a gum or spraying something on the lens or cutting the cables. 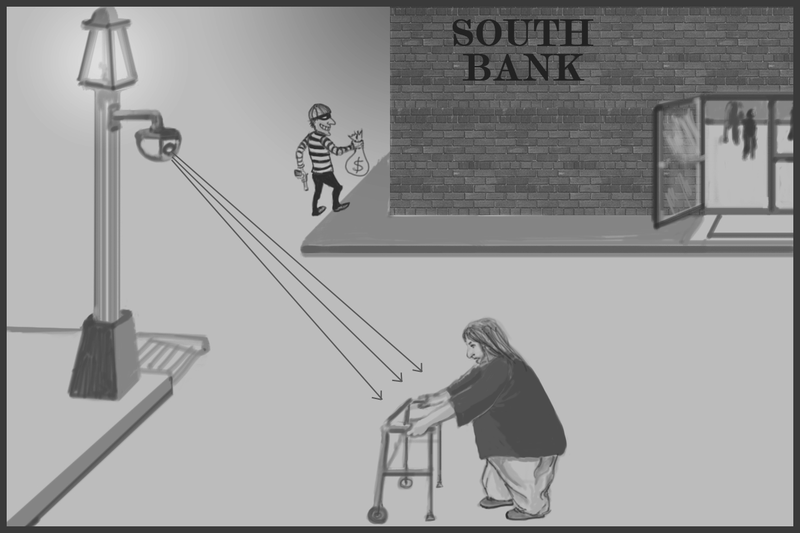 Usually a CCTV is installed at a spot where humans can not reach but criminals usually can easily view CCTVs position and can possibly change the angle so the camera do not catches the crime scene. CCTV cameras can view what normal people are doing this effect the people in a bad way as there is no privacy left. This is a great disadvantage of CCTV cameras. But wireless bullet camera is such a technology that has improved security of malls, houses and offices. In some cases the camera may miss the detail of the crime scene. For example a concealed weapon the camera is unable to view it in the first place. The video of a CCTV can be hacked by a hacker easily. Suppose there is a CCTV installed near an ATM machine. So the hacker will hack the video of that camera and can easily get the pin code and any other information he wants about a customer or ATM user. Another disadvantage of CCTV is that not everyone can afford it. Despite all these disadvantages CCTV still allows you to secure your place to a great deal. It has disadvantages but as you know nothing is perfect. The following are some of the potential weaknesses of IP cameras in comparison to other CCTV cameras. Disadvantages are that they are costly, do not always work (as they are not set up in the right places) and manipulate with people's privacy. 1. Higher initial cost per camera. 2. Fewer choices of manufacturers. 3. Lack of standards. Different IP cameras may encode video differently or use a different programming interface. This means a particular camera model should be deployed only with compatible IP video recording solutions. 4. Technical barrier. Installation for IP camera required a series of complicated network setting including IP address, DDNS, router setting and port forwarding. This is very difficult for most users to do without help from an IT technician. 5. Lower dynamic range - i.e. reduced ability to cope with low light and high contrast scenes. 1. Closed technology – little room for improvement in picture quality going forward. 3. Currently difficult and expensive to transmit HD images over CAT5e network cables. So here is an article that lets you know about few disadvantages of the CCTV camera. But to me CCTVs advantages are so many that in front of them we can neglect its few disadvantages. Hope the article was helpful. Visit regularly arindamcctvaccesscontrol.blogspot.com Thank You. A CCTV cable is basically an RG59 coaxial cable that is used to transmit a video signal between your security camera and the DVR (Digital Video Recorder). The RG59 is attached to both the security camera and DVR via a male BNC connector. The female BNC connection on the back of the DVR and security camera allows for these components to attach. The BNC connection creates a locking mechanism that creates a long lasting solid connection. This is not meant to be a textbook on transmission but is intended to remove some of the mystery associated with various methods of transmission. Many approximations and simplifications have been used in writing this guide. This is to make the subject more understandable to those people not familiar with the theories. For general application in the design of CCTV systems it should be more than adequate and at least point the way to the main questions that must be addressed. The manufacturers of transmission equipment will usually be only too keen to help in final design. 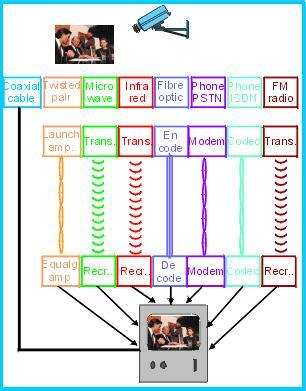 This connection diagram illustrates the many methods of getting a picture from a camera to a monitor. The choice will often be dictated by circumstances on the location of cameras and controls. Often there will be more than one option for types of transmission. In these cases there will possibly be trade offs between quality and security of signal against cost. This diagram could now include transmission by IP networks. The essential components of the video signal are covered in Chapters two and three. Certain aspects that are related to the effective transmission of those signals are repeated in this chapter where it is necessary to save continuous cross-reference. The video signal from a TV camera has to provide a variety of information at the monitor for a correct TV picture to be displayed. This information can be divided into: Synchronizing pulses that tell the monitor when to start a line and a field; video information that tells the monitor how bright a particular point in the picture should be; chrominance that tells the monitor what colours a particular part of the picture should be (colour cameras only). The composite video output from the average CCTV camera covers a bandwidth ranging from 25Hz to 5MHz. The upper frequency is primarily determined by the resolution of the camera and whether it is monochrome or colour. For every 100 lines of resolution, a bandwidth of 1MHz approximately is required. Therefore, a camera with 600 lines resolution gives out a video signal with a bandwidth of approximately 6MHz. This principle applies to both colour and monochrome cameras. However, colour cameras also have to produce a colour signal (chrominance), as well as a monochrome output (luminance). The chrominance signal is modulated on a 4.43MHz carrier wave in the PAL system therefore a colour signal, regardless of definition, has a bandwidth of at least 5MHz. From the above it will be obvious that to produce a good quality picture on a monitor, the video signal must be applied to the monitor with little or no distortion of any of its elements, i.e. the time relationship of the various signals and amplitude of these signals. However in CCTV systems, the camera has to be connected to a monitor by a cable or another means, such as Fibre Optic or microwave link. This interconnection requires special equipment to interface the video signal to the transmission medium. In cable transmission, special amplifiers may be required to compensate for the cable losses that are frequency dependent. All cables, no matter what their length or quality, cause attenuation when used for the transmission of video signals, the main problem being related to the wide bandwidth requirements of a video signal. All cables produce a loss of signal that is dependent primarily on the frequency, the higher the frequency, the higher the loss. This means that as a video signal travels along a cable it loses its high frequency components faster than its low frequency components. The result of this is a loss of the fine detail (definition) in the picture. The human eye is very tolerant of errors of this type; a significant loss of detail is not usually objectionable unless the loss is very large. This is fortunate, as the losses of the high frequency components are very high on the types of cables usually used in CCTV systems. For instance, using the common coaxial cables URM70 or RG59, 50% of the signal at 5MHz is lost in 200 meters of cable. To compensate for these losses, special amplifiers may be used. These provide the ability to amplify selectively the high frequency components of the video signal to overcome the cable losses. There are two main types of cable used for transmitting video signals, which are: Unbalanced (coaxial) and balanced (twisted pair). The construction of each is shown in diagrams 15.2 and 15.3. An unbalanced signal is one in which the signal level is a voltage referenced to ground. For instance, a video signal from the camera is between 0.3 and 1.0 volts above zero (ground level). The shield is the ground level. 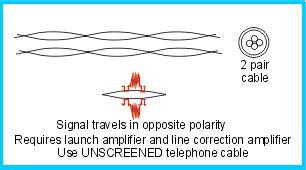 A balanced signal is a video signal that has been converted for transmission along a medium other than coaxial cable. Here the signal voltage is the difference between the voltages in each conductor. External interference is picked up by all types of cable. Rejection of this interference is effected in different ways. 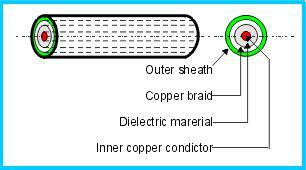 Coaxial cable relies on the centre conductor being well screened by the outer copper braid. There are many types of coaxial cable and care should be taken to select one with a 95% braid. In the case of a twisted pair cable, interference is picked up by both conductors in the same direction equally. The video signal is traveling in opposite directions in the two conductors. The interference can then be balanced out by using the correct type of amplifier. This only responds to the signal difference in the two conductors and is known as a differential amplifier. This type of cable is made in many different types of impedance. In this case impedance is measured between the inner conductor and the outer sheath. 75-Ohm impedance cable is the standard used in CCTV systems. Most video equipment is designed to operate at this impedance. Coaxial cables with an impedance of 75 Ohms are available in many different mechanical formats, including single wire armored and irradiated PVC sheathed cable for direct burial. The cables available range in performance from relatively poor to excellent. Performance is normally measured in high frequency loss per 100 meters. The lower this loss figure, the less the distortion to the video signal. Therefore, higher quality cables should be used when transmitting the signal over long distances. Another factor that should be considered carefully when selecting coaxial cables is the quality of the cable screen. This, as its name suggests, provides protection from interference for the center core, as once interference enters the cable it is almost impossible to remove. In a twisted pair each pair of cables is twisted with a slow twist of about one to two twists per meter. These cables are made in many different types of impedance, 100 to 150 Ohms being the most common. Balanced cables have been used for many years in the largest cable networks in the world. Where the circumstances demand, these have advantages over coaxial cables of similar size. Twisted pair cables are frequently used where there would be an unacceptable loss due to a long run of coaxial cable. 1. The ability to reject unwanted interference. 2. Lower losses at high frequencies per unit length. 4. Availability of multipair cables. The advantages must be considered in relation to the cost of the equipment required for this type of transmission. A launch amplifier to convert the video signal is needed at the camera end and an equalizing amplifier to reconstruct the signal at the control end. It is extremely important that the impedance of the signal source, cable, and load are all equal. Any mismatch in these will produce unpleasant and unacceptable effects in the displayed picture. These effects can include the production of ghost images and ringing on sharp edges, also the loss or increase in a discrete section of the frequency band within the video signal. The impedance of a cable is primarily determined by its physical construction, the thickness of the conductors and the spacing between them being the most important factors. The materials used as insulators within the cable also affect this characteristic. Although the signal currents are very low, the sizes of the conductors within the cable are very important. The higher frequency components of the video signal travel only in the surface layer of the conductors. For maximum power transfer, the load, cable and source impedance must be equal. If there is any mismatch, some of the signal will not be absorbed by the load. Instead, it will be reflected back along the cable to produce ghost image. Before choosing the CCTV cable for your application put some thought into the location of your power supply and your video recording device to determine if using a Siamese CCTV Cable type or individual cables (separate RG59 and 18/2) best suit your installation. If all your equipment is in one central location then using a Siamese CCTV Cable may provide you with the most professional and cleanest installation. We hope your surveillance system installation is a complete success! Good Luck! Since the 24th October 2001 it has been a criminal offense to use an unregistered CCTV system to record people in a public or private place unless it meets certain criteria. The introduction of the Data Protection Act 1998 and other related legislation has had far reaching consequences for those who own, manage or operate CCTV systems. Every aspect of this new legislation impacts upon your use of CCTV. The Code of Practice contains 62 legally enforceable 'Standards' that must be met to ensure compliance with the Data Protection Act 1998. The Commissioner includes a further 30 points of good practice, which together with the standards, are designed to build and maintain public confidence in CCTV systems and to ensure that they operate within the law. The Data Protection Act (DPA) 1998 came into force on March 1st 2000 and the Information Commissioner has issued a Code of Practice for CCTV systems. This Code was updated on July 14th 2000 and again in January 2008 and is available from us as part of our Data Protection Information Pack. You will find at The Data Protection Act and CCTV our own interpretation and summary of the requirements of the act. This however still leaves a number of questions unanswered so we have prepared a Data Protection Information Pack for visitors to this site. This should answer most of the questions that you may have concerning The Data Protection Act and CCTV as well as providing an extensive checklist enabling you to ensure that your organization is fully complying with the requirements of the legislation. 1. DPA Code of Practice from the Information Commissioner's Office. This explains what the law requires of you if you have a CCTV System. 2. DPA Self Assessment Pack providing further details on the law and a simple checklist for you to ensure that your organization is complying with the DPA. 3. DPA Catalogue of items that you may need in order to comply with the requirements of the DPA. e.g. Signs, Download CD's or DVD's, necessary forms, etc. 4. An order form should you wish to order any of the catalogue items. Ensuring that an organization’s CCTV system is fully compliant with the Data Protection Act can often involve weeks of work. Very often this time is spent reinventing the wheel as VeriFi can conduct a full professional assessment of your system and provide full documentation and comprehensive advice on where your system meets or fails to meet current legislation and official guidelines. However, a VeriFi Assessment goes much further than this in that it sets up a complete framework on which to base your CCTV management. VeriFi can supply an Independent Consultant to conduct a CCTV Compliance Assessment, provide full documentation and comprehensive advice on where your system meets or fails to meet current legislation and official guidelines. However, a VeriFi Assessment goes much further than this in that it sets up a complete framework on which to base your CCTV management. The following are all covered by the VeriFi service. Almost all CCTV systems must be registered with the Information Commissioners Office. VeriFi will inform you of shortcomings in regard to your ICO notification. You will require a statement itemising how your CCTV system is to be managed and stating who is fulfilling the roles of Data Controller and Data Processor. According to the Home Office an Operational Requirement should be drawn up before any CCTV system is specified and form the basis for the design of the system. This document then provides evidence for the relevance of your system in respect to the DPA. VeriFi will reverse engineer an Operational Requirement and advise you of any shortfalls or redundancy within the system. It is a serious infringement of the DPA for your CCTV system to invade the privacy of other people and their property. VeriFi will inform you of any such breaches and advise on the steps that should be taken to correct the situation. You must ensure that you inform people before, or as, they enter an area where there is CCTV surveillance. As you can only use your CCTV system for the purposes which are stated on the signage it is important that the correct wording is used. VeriFi advise you on the correct wording for your organization and can arrange the purchase of all necessary signage. To comply with the Information Commissioners Office CCTV Policy Document VeriFi undertakes a manual audit on behalf of its clients and provides them with comprehensive advice on any shortcomings. This is designed to ensure that your staff for contractors will effectively manage your CCTV on a continuing basis. Clients of VeriFi receive, free of charge, a comprehensive package of the necessary documentation required under the DPA as well is training in its use. To help ensure that images are usable in a court of law it is essential that any CDs or DVDs are Data Compliant (media purchased from retail outlets will not be suitable). Also supplied free of charge to VeriFi clients are the necessary compliant CD's/DVDs. Should you require more documentation or recording media this can be ordered online and is normally supplied on the next working day. Under the DPA members of the public have a right to access of their recorded images. The VeriFi Application Form that is supplied as part of this service includes a statement of the individual's rights and how Subject Access Requests are managed. This service is designed to ensure full legal compliance. As you must provide for the public a statement of how you manage and operate your CCTV this can be provided to VeriFi clients in either an online or paper format. If you have not made your workforce fully aware of the purpose of the system and how it may apply to them video evidence may be ruled inadmissible. VeriFi clients receive as part of the package, a specific sign for display in staff areas. As it is rare to receive a complaint from the public with regard to the management of CCTV companies normally have no complaints procedure put in place. Where VeriFi manage enquiries on your behalf this includes complaints logging and resolution. VeriFi will provide an audit of the method you use to secure recorded images. This will include, logging of those people allowed access, the method of access & control of images taken from the system and the tracking any hard disk drives that have been removed from the site. It is sometimes necessary that evidence be downloaded from the system by someone who is independent from the day-to-day management. A reliable and effective service can be provided by VeriFi should such an event to occur. Where substantial amounts of irrelevant information are downloaded the result is often a noble long and complicated presentation of the facts. To avoid this VeriFi can offer a professional evidence editing service. The police(Globally) say that 80% of CCTV evidence is inadmissible in court. Causes of such failures include inadequate documentation, lack of audit trail and incorrect recording of evidence. We recommend that you ensure that you are fully compliant with the DPA as having spent thousands of currency on the installation of a CCTV system it is indefensible to then have the evidence rendered unusable by the relatively small lack of investment in procedural items. 1. A Small System Checklist. We supply this free of charge with our Management & Download Pack below. 2. When recording a Compliant CD's or DVD's for recording incidents as well as the necessary forms that you need to log system maintenance, the passing on of evidence to the Police or a third party and other items that may require an audit trail in the event of recordings being required as evidence. 3. The Correct Signage. This may need to include your organization’s name and contact details. 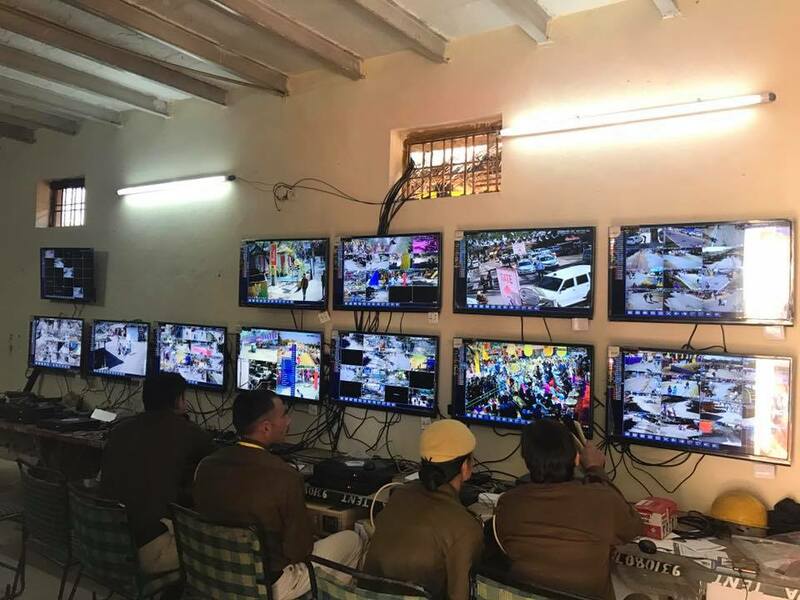 This CCTV system and the images produced by it are controlled by ………………….. who is responsible for how the system is used and for notifying the Information Commissioner about the CCTV system and its purpose (which is a legal requirement of the Data Protection Act 1998). We (……) have considered the need for using CCTV and have decided it is required for the prevention and detection of crime and for protecting the safety of customers. It will not be used for other purposes. We conduct an annual review of our use of CCTV. Notification has been submitted to the Information Commissioner and the next renewal date recorded. There is a named individual who is responsible for the operation of the system. A system has been chosen which produces clear images which the law enforcement bodies (usually the police) can use to investigate crime and these can easily be taken from the system when required. Cameras have been sited so that they provide clear images. Cameras have been positioned to avoid capturing the images of persons not visiting the premises. There are visible signs showing that CCTV is in operation. Where it is not obvious who is responsible for the system contact details are displayed on the sign(s). Images from this CCTV system are securely stored, where only a limited number of authorised persons may have access to them. The recorded images will only be retained long enough for any incident to come to light (e.g. for a theft to be noticed) and the incident to be investigated. Except for law enforcement bodies, images will not be provided to third parties. The organisation knows how to respond to individuals making requests for copies of their own images. If unsure the controller knows to seek advice from the Information Commissioner as soon as such a request is made. Regular checks are carried out to ensure that the system is working properly and produces high quality images. Please keep this checklist in a safe place until the date of the next review. When you install CCTV in a workplace, such as a shop, it is likely to capture pictures of workers, even if they are not the main subject of surveillance. If the purpose of the CCTV is solely to prevent and detect crime, then you should not use it for monitoring the amount of work done or compliance with company procedures. Have the cameras been installed so they are not directed specifically to capture images of workers? Are the recorded images viewed only when there is suspected criminal activity, and not just for routine monitoring of workers? Cameras installed for preventing and detecting crime should not be used for non-criminal matters. Are images of workers used only if you see something you cannot be expected to ignore, such as criminal activity, gross misconduct, or behaviour which puts others at risk? If these images are used in disciplinary proceedings, is the footage retained so that the worker can see it and respond? A still image is unlikely to be enough. In some cases, it may be appropriate to install CCTV specifically for workforce monitoring. You should go through the decision making process in section 4 of this code and consider whether it is justified. In particular, consider whether better training or greater supervision would be a more appropriate solution. Example: You suspect that your workers are stealing goods from the store room. It would be appropriate to install CCTV in this room, as it will not involve continuous or intrusive monitoring and is proportionate to the problem. Example: You suspect that your workers are making mobile phone calls during working hours, against company policy, and you consider installing CCTV cameras on their desks to monitor them throughout the day. This would be intrusive and disproportionate. Continuous monitoring should only be used in very exceptional circumstances, for example where hazardous substances are used and failure to follow procedures would pose a serious risk to life. Is CCTV limited to areas which workers would not expect to be private? CCTV should not be used in toilet areas or private offices. Are workers made aware that the CCTV is for staff monitoring and how it will be used? How are visitors informed that CCTV is in operation? If CCTV is used to enforce internal policies, are workers fully aware of these policies and have they had sufficient training? Do you have procedures to deal appropriately with subject access requests from workers? Is this an exceptional circumstance, and is there is reason to suspect criminal activity or equivalent malpractice? Will the cameras only be used for a specific investigation, and will they be removed once the investigation is complete? Would it prejudice the investigation to tell workers that cameras are being used? Have you taken into account the intrusion on innocent workers? Has the decision been taken by senior management? Cameras and listening devices should not be installed in private areas such as toilets and private offices, except in the most exceptional circumstances where serious crime is suspected. This should only happen where there is an intention to involve the police, not where it is a purely internal disciplinary matter. In some cases, covert cameras installed for one investigation may turn up evidence of other criminal behavior or disciplinary offenses. You should only make use of this where the offence is serious, for example, gross misconduct or misconduct putting others at risk. It would be unfair to use evidence obtained covertly for minor disciplinary matters. In some cases, covert monitoring may be covered by the Regulation of Investigatory Powers Act 2000 or the Regulation of Investigatory Powers (Scotland) Act 2000 (RIPA / RIPSA). You may wish to seek advice.